Being a member-in-good-standing of the SabMag group, I have the pleasure of participating in ‘events’ during the year. Emma participated in the 2015 ‘Gold Country Gathering‘, based in Pine Grove, CA, back in May. That event is basically at ‘home’ for Emma, so not really any sort of road trip. 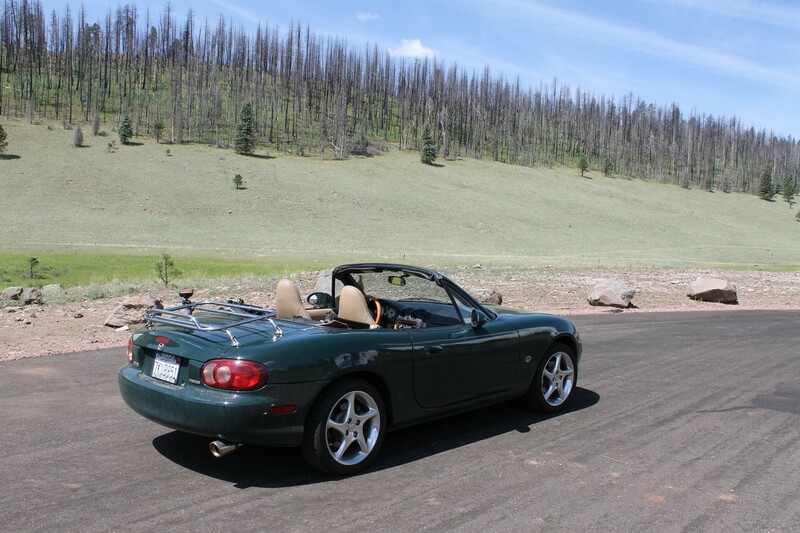 The first two days of Emma’s Roadster Road Trip were each 500 miles of grueling, mostly highway miles to get from Pioneer to Alpine. Day one was further interrupted first by a route change, thanks to a wildfire in the Sierras that could easily have closed my route after I’d departed, and at the very least would have filled the air with smoke in the area of the fire. So we headed down CA49 to CA120 through Yosemite National Park, then over Tioga Pass (9943′) to get out to the desert and head south to Las Vegas for the first nights rest. Day 2 was mostly highway down to Alpine. Emma’s Roadster Road Trip – Day1-2 from FoothillRyder on Vimeo. On Day 3 several of the bikes, with Emma running ‘sweep’, took on a 210 mile ‘loop’ that took us over into New Mexico (briefly) before turning around at Clifton,AZ (106 degrees!) to head back to Alpine down the Coronado Trail. It was AWESOME, and Emma did very well. SabMag Rockies / Coronado Trail 2015 – the ‘Big Loop’ from FoothillRyder on Vimeo.